The truth be told I feel a bit guilty about the name, because Joel’s SaaS Magic Number is neither magic, nor mine really. It’s simply the the average customer rate of return, or rather the inverse of the average customer baseline break-even, 1/BE0, that has so consistently popped up as a driver and a constraint in the SaaS metrics rules-of-thumb. 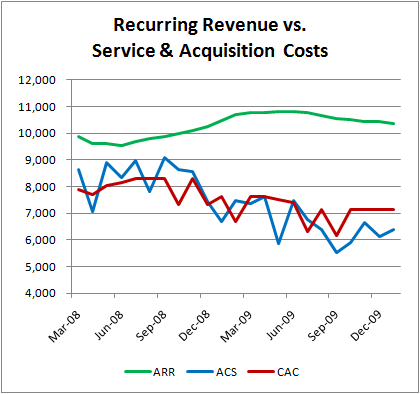 Where “ARR” is the average recurring revenue per customer, “ACS” is the average recurring cost of service per customer, and “CAC” is the average customer acquisition cost. Customer rate of return is powerful, because it measures the economics that make a SaaS business work (or not), whereas the individual revenue and cost metrics are simply accounting figures that in isolation say little about the health of the business. Let’s recap some of the things we know about this nifty magic number from earlier SaaS metrics rules-of-thumb. 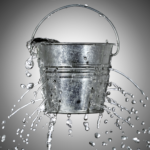 must exceed both the current customer churn rate and the new customer growth rate. So, what is a good value for Joel’s SaaS Magic Number? Well, I don’t think anyone could argue with 1, a valiant goal, but rather optimistic. If your average customer rate of return is 100%, chances are you don’t need VC money, because you can bootstrap your way to the top given that your customers pay for themselves within the first year. Personally, I’m prejudiced toward profitable growth in the long run, not just growth (call me old fashioned). In which case, I’d recommend shooting for something in the J ≥ 50% per year range, implying a minimum time to profit of 2 years (probably more like 4 years with growth and churn) and the ability to grow annually at upwards of 50%. say little about the health of the business. At the very least, you should set a goal for average customer rate of return that significantly exceeds your both your churn and target growth rates, J > max( a , g ) = a + net positive growth (g-a), unless you are prepared to burn cash for a very, very long time and build up a very, very large accumulated loss deficit on your balance sheet. But, focusing exclusively on growth to the detriment of profit is a dangerous game in SaaS. Most SaaS markets are not as wide-open as enterprise software markets were twenty years ago. Personally, I believe there is very little a weak executive team can do for $110M in expense at a $10M loss, that a strong executive team can’t do better for $90M in expense at a $10M profit. To each his own. I’ll let the interested reader refer to Lars’ original blog post for the specifics, but after a little comparison I’ve concluded that “The” SaaS Company Magic Number is roughly equivalent to following ratio in my SaaS metrics model. Let’s plug in some numbers and see what we get. If we want a quick and dirty comparison of The SaaS Magic Number to Joel’s SaaS Magic Number, then the easiest approach is to assume a contribution margin of 50%. This isn’t so outrageous given the cost structure of many SaaS/software companies that even in the early stages tend to spend about 50% on sales and marketing (CAC) and 50% on everything else (ACS). Aha! Now we have a rhyme to the reason of why Lars just might want to talk to you if The SaaS Magic Number is > 1.5, because you are primed for a profitable, annual viral growth rate of up to 75%, something VCs like very much. However, I have to take issue with “pouring on the gas” if your The SaaS Magic Number is simply above .75 . In this example, your average customer rate of return is about 38%., giving you a best case time to profit of 2.7 years. In reality, if your annual growth is approaching 38% (which your investors will very much desire) and your contribution margin is anything less than 50% (very likely in the early stages), then your real time to profit is probably double or triple that (8 years! ), because you aren’t even covering your acquisition costs let alone your total cost of service. Depending on your actual contribution margin, you may very well be burning through wads of cash by stepping on the gas. Personally, I’d up this requirement to a clean The SaaS Magic Number of > 1.0 with the added requirement that ARR ≥ 2 x ACS, so that your contribution margin can quickly recover acquisition costs. This is consistent with the prevalent SaaS metrics conventional wisdom that you’d like to recover your customer acquisition cost in the first 12 months, but with the added requirement that you need to pay for your ongoing service costs as well. Almost done! There is one more post in this SaaS metrics series, because clearly we can’t stop until we reach SaaS Metrics Rule of Thumb #10 and have a complete SaaS metrics top ten list. 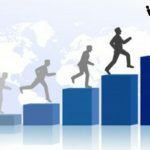 The next and final post in the SaaS metrics series entitled SaaS Customer Lifetime Value Drives SaaS Company Value will take things up a level to examine the highest level SaaS financial metric of company valuation, and it has some fun, no-holds-barred extra credit math notes for the math heads. Stay tuned! 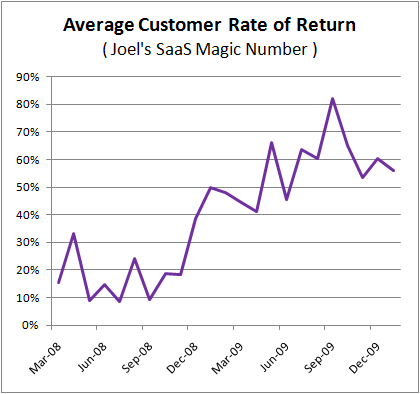 SaaS Metrics Math Notes: What’s YOUR SaaS Average Customer Rate of Return? The theory is only useful if we put it into practice, so today’s SaaS Metrics Math Note includes the homework assignment to calculate the average customer rate of return for your SaaS business (your very own SaaS magic number!). 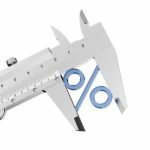 In practice, calculating average customer rate of return requires a few decisions about how you’re going to measure recurring revenue and costs, but the basic formula for calculation is as follows. Total Acquisition Costs should include all sales, marketing and overhead expenses directed at new customer acquisition within a given period, and Total Recurring Costs should include just about everything that is left over in the same period, including everything that enables you to service your customers from rent to support staff, even accounting because you gotta send out the bill. You can dance around the idea of fixed vs. variable costs, but in most SaaS companies pretty much all costs are variable in a roughly 3+ month time-frame. 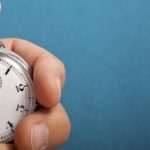 Also, note that the average customer rate of return time-frame will be the same one that you choose for your recurring costs, i.e., percent per month/quarter/year respectively. I recommend making two charts, one with the average customer rate of return (you can also include the other two relevant SaaS metrics of growth and churn for comparison) and a second with the component values of ARR, ACS and CAC. This example highlights the positive impact of both lowering total cost of service (decreasing ACS/CAC) and upselling (increasing ARR) on average customer rate of return as implied in SaaS Metrics Rules-of-Thumb 6, 7 & 8. Whether you choose GAAP, cash or any number of other variations as your SaaS metrics basis for calculation is probably fine as long as you are consistent throughout. Personally, I prefer cash. Plus, you’ll want to pick a measurement period that will highlight the long term trend over short term random fluctuation, because these profitability and growth SaaS metrics are mid-to-long term measures. One month is probably too short and one year is probably too long. So, some sort of moving average around 3-6 months is probably best for most SaaS companies. You can also get fancy with things like customer segmentation to see how the average customer recurring rate of return varies by segment. Consider that extra credit! Hi there Joel, I was just doing some research when i came across your site. very good resource i will add. your wife is right about too much theorizing!. anyway, just had a question is there actually any Saas business making money!. or is the idea behind saas not practical in the real world (due to human factor), though in principle it may be sound on paper and in theory but doesnt stand up in real practical world. first thanks for your good work on chaotic-flow! Sometimes, during periods of low investment in CAC, we still had grow.. I understand that most of this growth should be attributed to mouth-to-mouth/network effects not our direct sales/mktg efforts or past CACs (something that I’ll comment later below). Is there, on your vision, a good way to adjust to this fact? What do you think on this two cases? It is difficult to give a good answer without seeing the actual calculations, but my first impressions are the following. 1) I would not adjust for network effects, these rightfully increase J (customer rate of return), because you are spending less to acquire customers when you have strong word of mouth. This is good, and it should show up as a higher J. I usually handle wide variations simply by using a moving average for CAC and ACS. ARR is generally very stable. a) are you including all sales/marketing staff costs in CAC? b) are you including all product/service/admin costs in ACS? but total customers to calculate ARR and ACS? d) are ARR and ACS measured in annual recurring costs? 3) It seems unusual that CAC should vary so dramatically…what is the source of variation? a) are out of pocket acquisition costs larger than staffing costs? b) are the number of new customers small, e.g., 1 then 5, then 2, etc. 4) I would first recommend coming up with formulas (probably 6 month moving averages) that accurately represent stable values for average CAC, ARR and ACS separately. Then you can be sure your J is correct…even if it is 5! …if you want to email me a spreadsheet to jyork [at] chaotic-flow.com, I’d be happy to take a look and email you back better answers confidentially. I cannot get the calculation to work for the life of me in a way that makes sense. It seems you gave a few variations in how to calculate the average customer rate of return and when I put it into my numbers, they all vary in the output. Just discovered your blog. I have been working with a client who has a terrific SaaS product with a couple of major customers. The last two years have been constant development and now I am searching for information on different organization struectures and business models which have been successful in the SaaS world. Is there a book you could recommend to help me understand these concepts. Really helpful Joel! 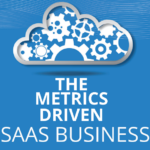 These SaaS metrics rules-of-thumb that you took time writing and elaborating for it to be shared online is very much appreciated! i go crazy over one and here you have provided 10 rules-of-thumb! One would definitely find one that suits best their SaaS platform, or better yet use all of those!